Dr. Paul Corkum, CRPuO member, Distinguished Professor at the University of Ottawa and National Research Council-Canada Research Chair in Attosecond Photonics, is the first Canadian to receive the Isaac Newton Medal bestowed by the UK Institute of Physics. Dr. Corkum is receiving this honour in recognition of his pioneering role in the development of attosecond science (an attosecond lasts one billionth of a billionth of a second) and other ground-breaking research. 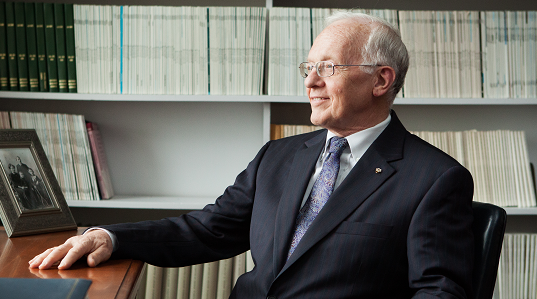 You can read more about Dr. Corkum’s contributions to the field of Physics here. Congratulations, Dr. Corkum, on this impressive honour!